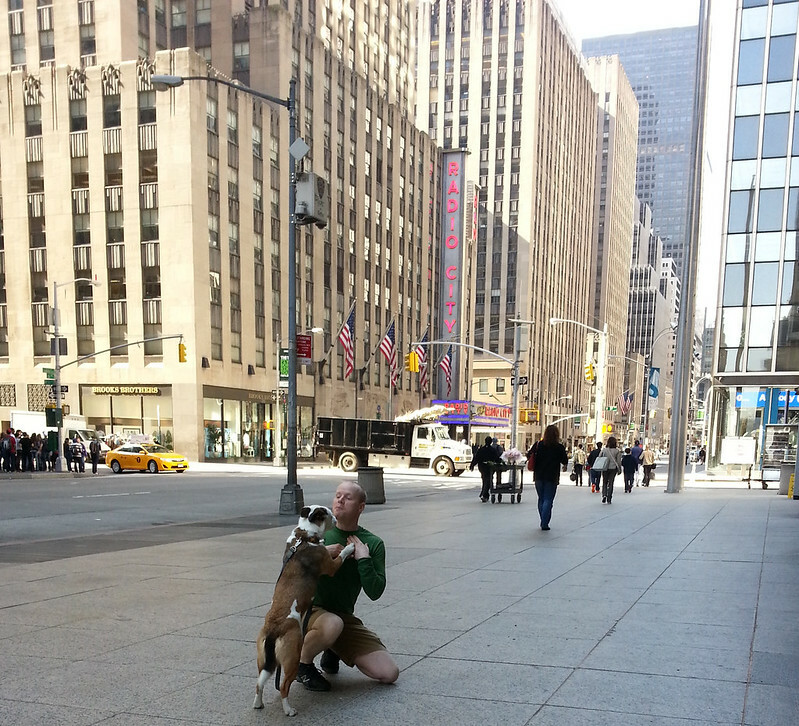 We had a fun and eventful time in New York City. Daisy was terrified at first, but by the end she was walking like a pro. At one point we were getting stopped literally at every block by someone wanting to tell us how awesome she was. We also got Hank Azaria to smile at us in Central Park. I can't seem to get anybody to care about that story, but we were excited about it. We were visiting my husband's family and birthdays and new babies were involved so i made some stuff. unfortunately i don't have good pictures b/c i waited until the last minute (of course) and there just wasn't time. i worked on the very last thing in the car and finished it in our hotel room the evening we got to Manhattan. My nephew got a Pembroke vest from DIC classy. I knit the 12 month size and as always, I ran out of yarn. I used a tiny bit of Berroco Vintage to finish the collar. I sewed a pair of quick change trousers from my favorite narwhals fabric and some michael miller dots. I also made a stripey raglan hoodie for my nephew out of madelinetosh vintage and berroco vintage. the picture doesn't do the colors justice. the madtosh tart and baltic look really nice together. i'd use this color combo again. 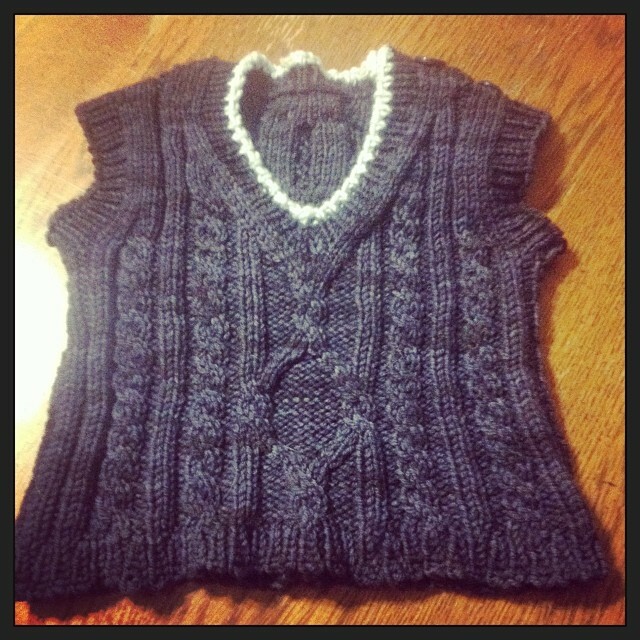 For my new niece on the way, I made a Little Geranium top in Briar Rose and a Wee Liesl cardigan from Wollmeise Twin. Both patterns are sweet and reasonably fast. 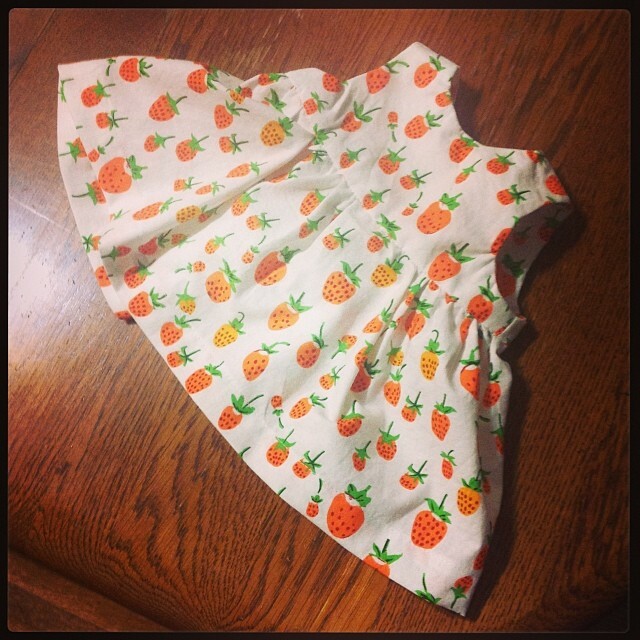 I want to make another version for my other niece later this year. for some reason i always forget how long it takes to knit. even though they are kids clothes, i had to work really hard to get everything done in time for the trip. and yet no matter how many times i remind myself not to procrastinate, i'm sure i'll do it again. HANK AZARIA! WOO HOO! I know who he is, and I would be excited too! You've been validated :) Love your stuff too. Looks like a beautiful time in the city! Glad you had a great trip to the city! I've never been to NYC but sounds fun. I've never had a real celebrity siting either so I'd be excited about Hank Azaria too!